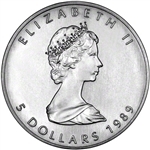 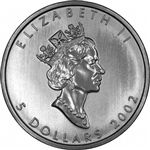 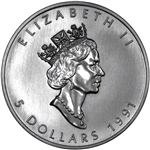 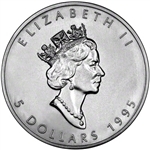 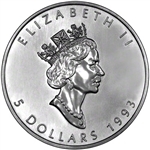 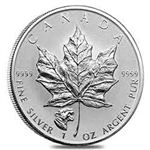 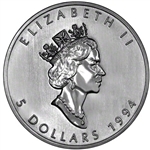 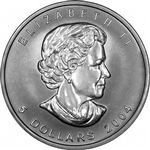 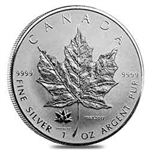 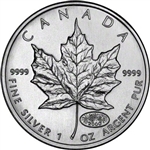 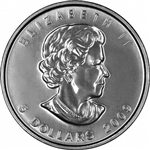 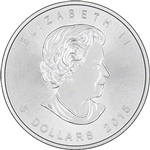 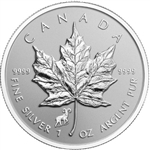 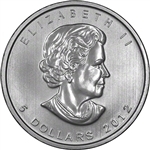 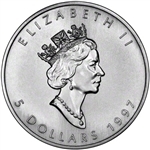 The Canadian Silver Maple Leaf coins are the official silver bullion coin of Canada. 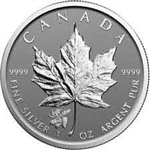 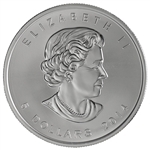 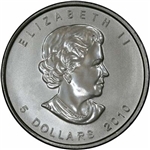 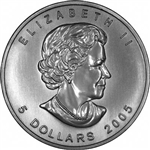 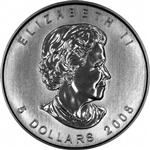 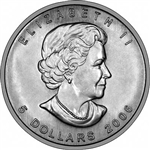 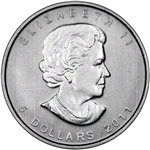 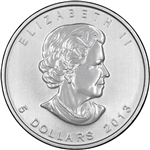 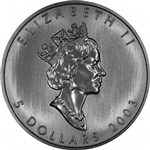 Each of the Silver Maple Leaf coins are minted at the Royal Canadian Mint and are .9999 fine. 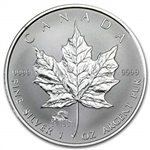 Beautifully designed and produced, the Canadian Silver Maple Leaf coin has been in production since 1988. 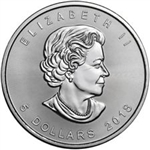 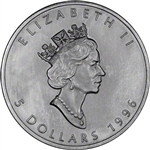 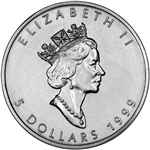 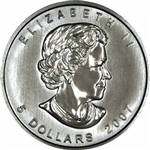 The obverse of these coins depict the likeness of Her Majesty Queen Elizabeth II, and the reverse of the Silver Maples showcases the signature Maple Leaf. 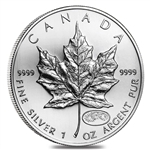 Minted in .9999 fine Silver, Canadian Silver Maple Leafs are among the purest of all Silver dollar-size coins.